It's hard to imagine a dark underbelly still could be uncovered in the abortion industry, but it's happened. After all, abortion is the killing of a truly defenseless human being. And it has been legal in this country for more than four decades to destroy unborn babies even into their ninth month of gestation. In that time, the deaths of mothers during abortions, the killing of born-alive infants outside the womb, the development of the now thankfully outlawed partial-birth abortion procedure, and the disgustingly unsanitary conditions and practices in some clinics have been well documented. What else could there be? Well, the Planned Parenthood Federation of America (PPFA) has shown us. Thanks to the work of some enterprising investigators at the Center for Medical Progress (CMC), undercover videos have lifted the veil on other evils that lurk within some PPFA clinics. 1. It is the United States' No. 1 abortion provider, averaging more than 325,000 abortions a year or nearly one-third of the lethal procedures performed in this country. 3. It receives more than $500 million annually in government grants, contracts and reimbursements. 4. It never met an abortion it didn't like, opposing even the mildest of legal restrictions on the practice, including bans on late-term and partial-birth procedures. 1. They traffic in body parts from aborted children. 2. They sometimes manipulate the abortion process to provide intact organs for research. 3. They will cut open live babies outside the womb from which to harvest organs. This is an important moment -- maybe a pivotal one -- in the life of our country. I believe the true church will remain faithful to the Scriptural teaching that every human being from conception to natural death is an image bearer of God. I believe the church will continue to work to bring an end to such atrocities, as well as legal abortion, while helping women in need. How this country will respond is a far different matter. 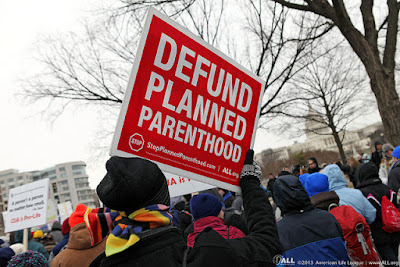 There do not seem to be enough lawmakers willing to cut off government funding of Planned Parenthood. Certainly, our president is not willing to do so. 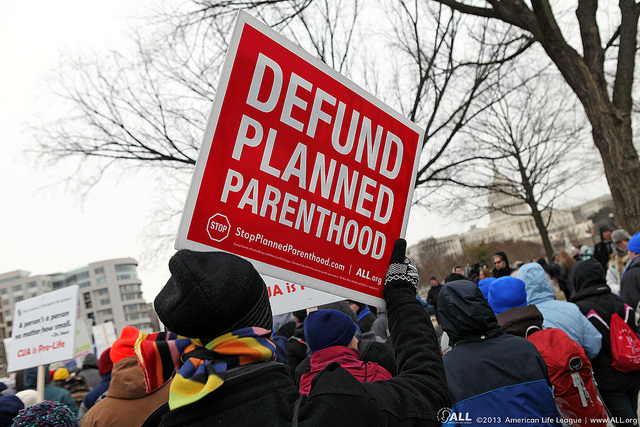 One major political party is almost totally sold out to the abortion industry. The other often seems squeamish about confronting it. While some pro-choice citizens have acknowledged these new videos have caused them to rethink their position, many continue an all-out defense of Planned Parenthood. And while many Americans have expressed horror at what the videos have revealed, too many likely have grimaced initially before going on to the next thing. A society that cannot cry out for justice in such a matter is ripe for a fall. For this alone, God has reason to bring a new level of judgment on this country. 1. Pray, of course. For the defunding of Planned Parenthood. For the conversion to Christ of PPFA's staff members, their allies, and their advocates. For the protection of the mothers and their babies who continue to enter Planned Parenthood's doors. For revival in the church. For an awakening in the country. For a common-grace, common-good understanding in society of the intrinsic value of each human being. 2. Engage senators, representatives and other government leaders who need input from their constituients. 3. Support pro-life ministries that seek to help mothers to choose life for their babies and receive new life in Christ. 4. Live out a sanctity of life ethic that treats every human being -- regardless of condition, development or characteristic -- as a person made in the image of God with sacred value.